After an epic blue sky bust in Nebraska the previous day, my eyes were looking to play with some storms on the way back to Michigan. Slight risk was painted across much of the midwest from Illinois back south. I had spent the night in Newton, Iowa, so I delayed my departure to hopefully time it so I would be in Illinois near initiation time in the afternoon. However, I did not dawdle long as a line was approaching my hotel. 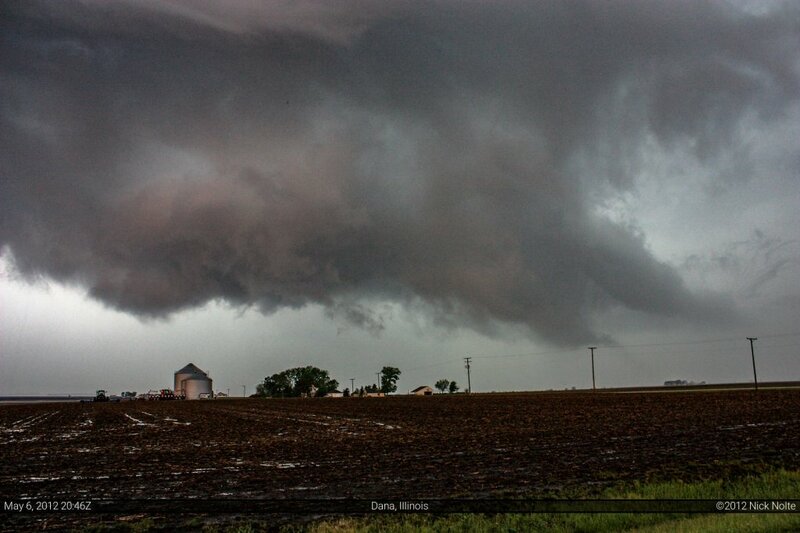 I was already under a severe thunderstorm watch, and they issued one for eastern Iowa not long after I left Newton. However, the line dissipated as it moved across the state allowing for decent sunshine and clear skies in western Illinois to destabilize the atmosphere. Eventually, I pulled into Galesburg where I ran into Mike Brady and Jonathan Williamson as we watched cumulus towers developing around us. 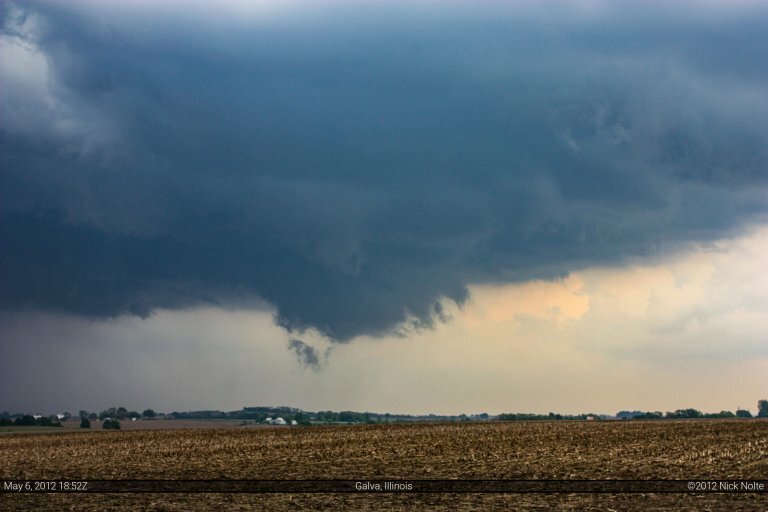 Eventually, we headed off to the northeast as the first radar returns were showing up and got on a storm near Galva that actually looked surprisingly promising. The storm had a decent base, there was even an RFD cut. 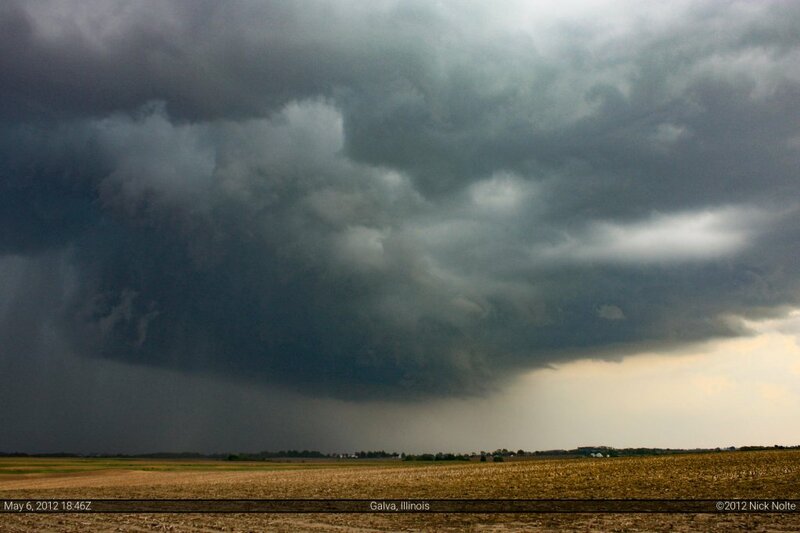 The base then started to show a lowering and a wall cloud developed. It was rotating slowly and scud was being pulled up into the base. I think we all thought there was a slight possibility this storm might pull it off as thoughts of Illinois magic danced in the back of my head. 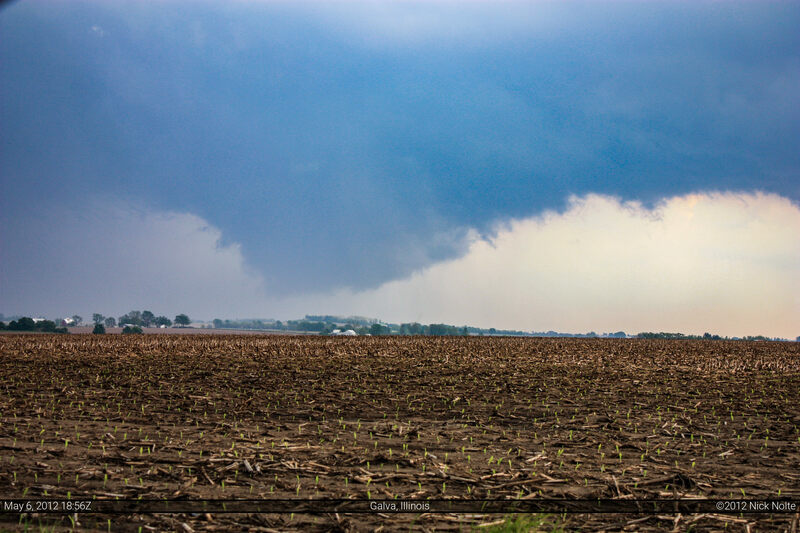 Eventually, we had to reposition to keep up with it, and as we did the wall cloud became less defined and the rest of the day was spent chasing embedded circulations in a line of storms. The day turned out to be pretty good, a decent surprise and a great redemption from the failed chase in Nebraska the day before.